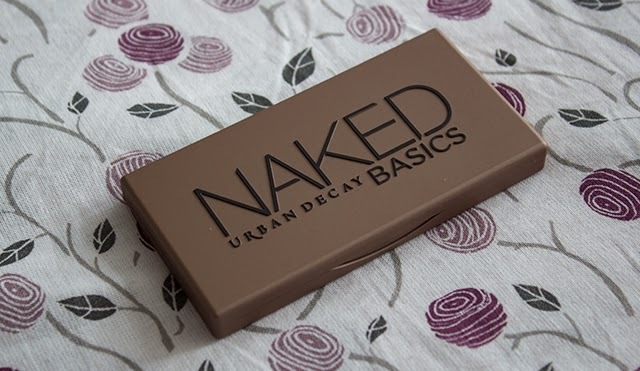 I love both of my Naked palettes, so I felt like I needed to give the Basics Palette a go too. Recently I been really into minimal make-up look, mostly mascara on the eyes only, but I like to apply matte neutral eyeshadow on the lids, so I will have even colour on my eye lids. Before I used to be obsessed with glittery eyeshadows, well I still am, but during the day I just want to wear minimal make-up. In my opinion Urban Decay have an amazing pigmented eyeshadows and there is something for everyone. I personality love applying Walk of Shame all over the lid, then on top I like to add delicate shimmer such as Venus, in the crease I apply Faint, which is also great for filling in the eye brows. Crave is very pigmented black, I like to use it on my lower lash line, as an "eyeliner". Although there are 3 pale matte colours, which a very similar to each other in colour, wish that they could gradually have different tones of browns, for example from the lightest to the darkest. As we don't really need 4 base colours. 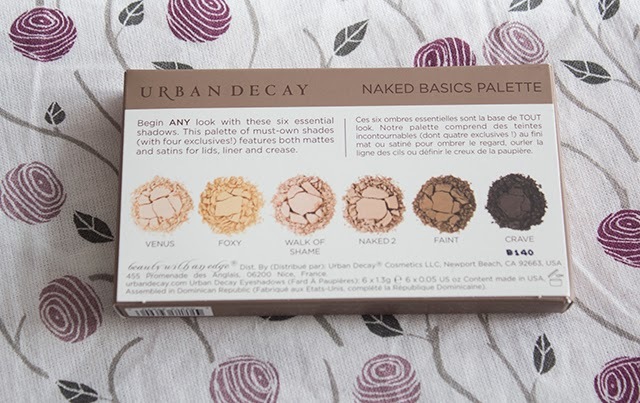 I really like the small packaging, as it's great for travel, but I think I will also need to take another palette if I would travel, so I could have a bigger range of colours. Love the suede feeling when you touch the palette. This palette may not be everyone cup of tea, but I personally really like it and I will definitely be reaching for it on regular basic. Have any of you bought this palette? What are your thoughts on it? Overall do you like any of the Naked palettes? have you seen my latest posts? I love this little palette. It is perfect! 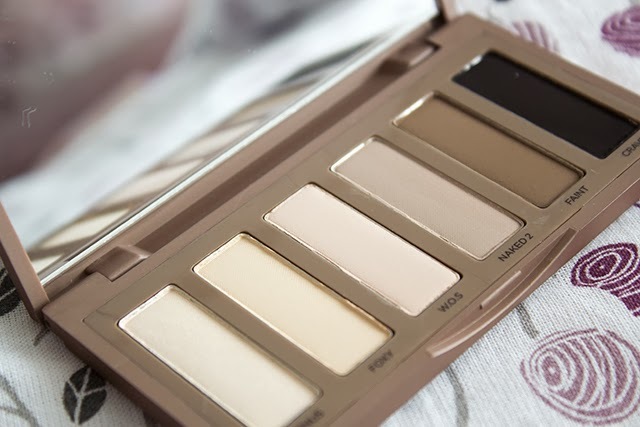 Love these shades, I definitely have to get this soon as i really need a more portable Naked palette! This pallete is on my wishlist!